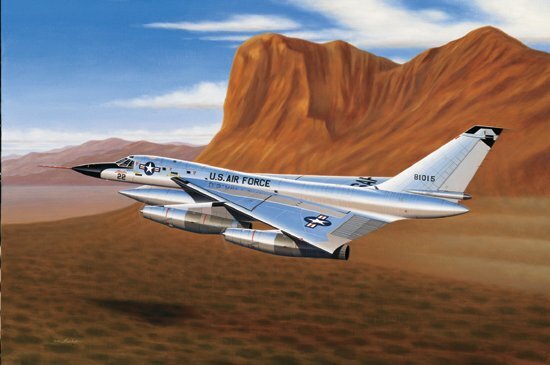 Image Size: 25" x 16.75"
Paper Size: 31.25" x 24.25"
On the morning of September 18, 1959, Convair first demonstrated the radical concept of undetected low-level airspace penetration. Using a fresh-off-the-line B-58, Chief Test Pilot Beryl Erickson hand flew the aircraft from Texas to California, nonstop, at altitudes never above 500 feet, and at speeds of up to 720 mph. This 1,400 mile dash was accomplished in just two hours and without inflight refueling, or the use of any aerial navigation aids.